Cushions are the perfect addition to various rooms throughout your property. They accentuate the atmosphere of the space in question, bringing a burst of character and personality that can truly make a house a home. They are a timeless classic that can be used throughout the year and offer a cost-effective upgrade that you’ll cherish forever. That is, of course, as long as you make the right purchases. Katie Victoria, of www.katievictoria-textiles.com makes and sells a stunning range of handmade, machine knitted cushions that can be embraced in several areas throughout your home. Cushions may feel like a small addition, but their impact can be huge. When used to complement the overall look of a room, they will bring a sense of style that gives your home a more cosy feel. Furthermore, they simultaneously reflect your personality and tastes to create a relaxed and comforting place to live. Better still, cushions are a versatile accessory in that they can be placed on the sofa, on a bed, or as decorative pieces on top of various furniture pieces. 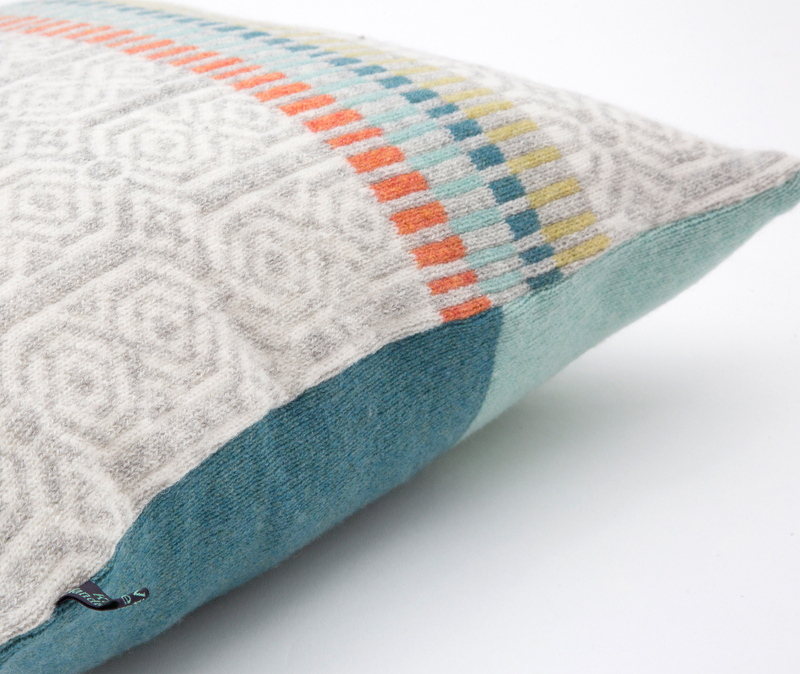 Often by choosing a really striking cushion you can capitalise on the “less is more” approach. This way you’ll get a chance to make a far bigger statement with each piece, especially if you use a minimalist design. Choosing a multi-coloured design enables you to contrast the sofa or bed while also feeding into the colour schemes set by the wall designs. The aesthetic of these hand-crafted luxury materials additionally works very well with the contemporary flavour of hardwood floorings, particularly if they are topped with a rug. The problem with many home accessories, including a lot of shop-bought cushion designs, is that they have a very exclusive appeal. Love hearts may be a little too feminine while accessories suited for the bachelor pad won’t look great in a family home either. Tile blocks, mural block patterns, and patchwork designs solve that problem. Frankly, they are suited to every home design. While it’s still important to find the colour scheme that suits the individual room, there’s no doubt that the versatility of Katie Victoria’s cushions is a big selling point. Men, women, boys, and girls will all love those stylish vibes. Given that each lovingly handmade item is unique to you, the cushions truly are the ideal option for any home. Not least because the exclusive nature of the products injects a special ingredient of excitement. Katie Victoria loves nothing more than knowing she’s helped a house become a home, and the stunning wool cushions are the ultimate accessory to make that happen. 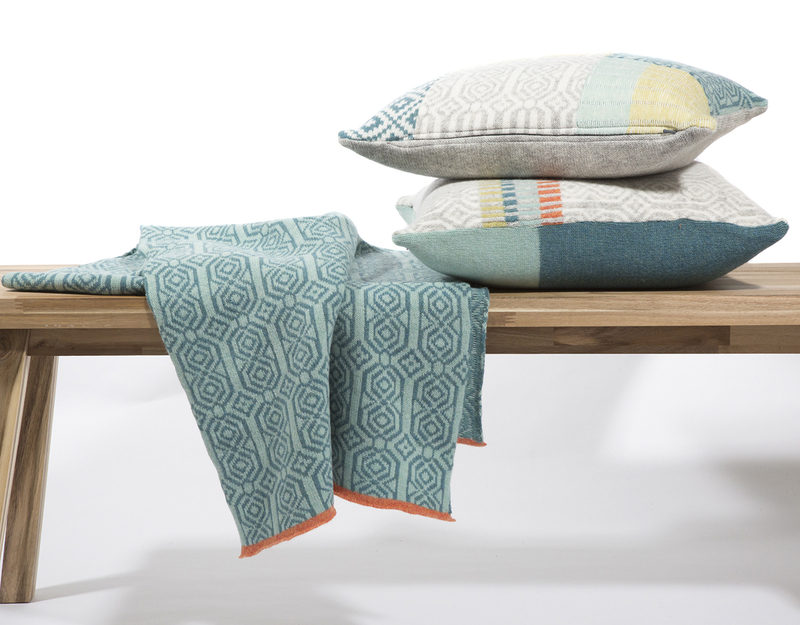 Whether you buy directly from www.katievictoria-textiles.com or want to find a stockist, your home is destined to instantly become a happier environment for years to come.